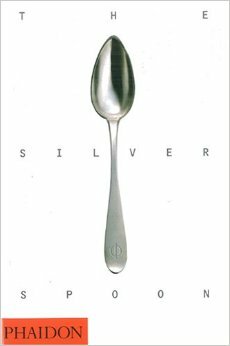 From the Amazon description: The Silver Spoon is the first international edition of the most influential Italian cookbook of the last fifty years. With over 2,000 traditional and modern recipes, its simple style and traditional authenticity will appeal to both the gourmet and the occasional cook. With a new layout, specially commissioned photography and artwork it is destined to become a classic in the Italian cooking booklist for the international market. Long desiring the $70 cloth-hard bound version, Phaidon finally came out with this American Glossy hardback version for $15. As a collector of bargain cookbooks, this was too good to pass up. Although this numbers #70 or so in my collection, I can foresee it quickly ranking in the top 10, possibly top 5. I have perused the cookbook over the past week, leafing through the 1200 or so pages of 2000 or so recipes, gained a new respect for Italian and Mediterranean cooking, cooks and food afficianados. There have been many reviewers unsatisfied with the poor translation of the recipes, giving poor measurements, descriptions, no food substitutions and so forth. Although I am a beginner cook, with only 3 years prior high-end restaurant experience, 13 years food/cooking research and only having written 3 cookbooks the past 3 years, I know I am not in a position to give a qualified restaurant/food chef’s review of the tome. However, as a cookbook collector, healthy-lowcarb-low-salt “foodie”, I can wholeheartedly give an enthusiastic two thumbs up! Sure, the translation is poor, but I am guessing the publisher/editors were in a hurry to get this to the American public, due to the updated version (which I have not seen). I can guess what the recipe editors and original cookbook recipe authors meant in the recipes. However, I am reading this as a Novel, not as a follow-by-the-word cookbook. Could I follow the recipes? Sure, I’ve read and reviewed enough cookbooks to understand what the recipes are, the measurements, ingredients/substitutions, pots/pans, bowls, etc to finish the recipe. The sheer fact that an old Italian cookbook is available to the American public is mind-boggling! There are foods I’d never heard of before-snipe, salsify to just name two off the bat. I’m sure this isn’t a comprehensive book of Italian Cooking, because each ingredient has only 5-10 recipes each. Rather, It feels more like an encyclopedia of Italian Cooking, rather than an explanation of Italian Cooking. I love that the publisher, Phaidon, tries to include so many ingredients, even those that have no substitutions in America. The recipes use fresh ingredients from the garden or butcher, they limit or use no processed/packaged foods and limit salt (which is unhealthy for those of us with Diabetes, Heart Disease and other issues, I am excited to have this cookbook in my collection. I can give 5 stars, unreservedly.